Plus, poison provisions removed from final bill. Action Alert! The last few weeks of 2018 have seen some rapid developments for the Farm Bill, the huge piece of legislation that gets passed every four years and allocates almost a billion dollars over ten years. For natural health advocates, there are some good provisions in the bill, including the legalization of industrial hemp—which is an important step toward ensuring access to CBD oil—and measures aimed at stemming the tide of fake organics into the US. These provisions were part of the Farm Bill that passed the Senate a few months ago, after the House passed its version. Now a compromise bill has been created and rapidly approved by both the Senate and the House. The final Farm Bill legalizes hemp as an agricultural commodity and removes it from the federal list of controlled substances. It also defines cannabinoids (CBD) with a THC concentration of less than 0.3% as hemp, thus legalizing CBD oil that meets the 0.3% threshold. This is an important step in our campaign to fight for consumer access to CBD oil, a cheap, safe, effective, and non-addictive alternative to opioids for pain. Remember, though, that this would only remove one of the two major threats to consumer access to CBD oil. Recall that a pharmaceutical company, GW Pharmaceuticals, has developed a CBD-based drug for a rare form of childhood epilepsy—which just received FDA approval. The FDA has said that CBD is not a supplement because GW filed an investigational new drug (IND) application on CBD before it was sold as a supplement—an agency position that we are fighting. Nonetheless, it’s encouraging that the government is proposing to remove one of the major hurdles to affordable CBD oil. The final Farm Bill also includes provisions aimed at increasing oversight over the organic supply chain in an effort to curb the importation of fake organic grains that have been inundating the US market. It’s unclear whether this will really address the problem; as we’ve argued before, more regulations will not replace a will to enforce the law, which the USDA apparently lacks. But, more serious oversight over the supply chain might help prevent some degree of fraud, so these measures could arguably help consumers. 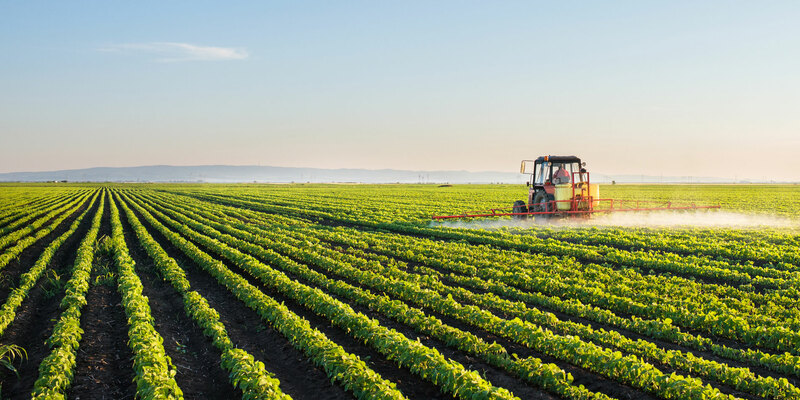 Additionally, bad provisions that would have increased pesticide exposures, including allowing pesticides to be sprayed in drinking water, have been left out of the final Farm Bill. This is another big win for natural health advocates because it will reduce the amount of toxic exposures in the environment which, taken together, help make us chronically sick. Now that the bill has been approved by the House and Senate, it will be sent to President Trump’s desk to sign. Let’s help it over the finish line. Action Alert! Write to President Trump and tell him to approve the Farm Bill! Please send your message immediately.